It is often asked “when should I attend mediation in my case.” Legally, there is no set time you must attend mediation in your case. In Utah all domestic cases are required to attempt mediation before they will be allowed to proceed to trial before a judge, but that does not tell you when during the litigation process you must attend mediation. There are many factors that may influence the ability of the parties to reach an agreement at various points in the litigation. These often include the parties’ emotional states, the gathering of information that would be useful in making decision, and the cost of continuous litigation. That said there is no time that you must mediate, but there are factors to consider in picking a time to mediate your dispute. The sooner you attempt mediation, the less money you will spend on attorney’s fees and court costs. 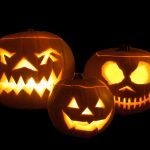 Throughout the litigation process, especially with a divorce or matters regarding children, the parties will experience a roller-coaster of emotions. Emotions may cloud judgments, interfere with the rational thought process, and could prevent one or both parties from being able to reach a decision regarding the terms of an agreement. The parties may experience these emotions at the outset of the litigation process or even months to a year after the process begins. And there is no indicator whether the parties will experience these emotions at the same time. 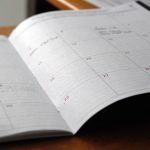 When you decide to schedule a mediation in your case, consider your own emotions, look at the calendar and see what you have planned professionally and personally that may take away from your ability to concentrate at mediation. Also, as hard as it may be, try to consider where the other party may be emotionally. You cannot reach an agreement to this dispute on your own, it will need to be mutual, and so it is to your benefit for them to be emotionally ready to negotiate. 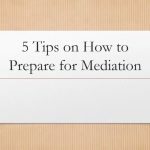 Giving yourself some time to prepare emotionally for a scheduled mediation will greatly increase your chances of reaching an agreement at mediation. Almost every case relies upon some outside information when trying to reach a resolution. Whether these are bank statements, paycheck stubs, appraisals, or tax returns, decide if you will need any outside information in order to make an informed decision regarding the dispute at hand. Also, consider whether you can easily obtain this information yourself, whether you will need to request information from the other party, or if you will need to obtain this information from a third party. Negotiations at mediation will proceed far more smoothly if you have the information needed to make an informed decision. If you are not sure what information you need, you may also consider attending more than one mediation session. The first session may be used to determine what information the parties already have or have agreed to, and then to decide what other information will need to be gathered before a final agreement may be reached. Take a moment when you schedule mediation to think about what information may be needed and if it would be beneficial to have more than one mediation session. Finally, mediation will usually have a significant impact on the cost of the litigation. 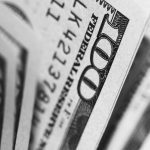 The sooner you attempt mediation, and hopefully reach an agreement, the less money you will spend on attorney’s fees and any related court costs. 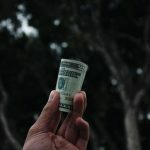 If you are trying to reduce the costs of litigation, consider attending mediation early to see what terms are already agreeable, and get a list of what issues are not agreeable. Again, you can always attend more than one mediation session, and an early mediation may significantly reduce the number of issues that have not been agreed upon and the amount of outside information that needs to be gathered. Remember, there is no set time you must mediate, but consider emotions, the gathering of outside information, and the costs of litigation when you are planning to mediate. 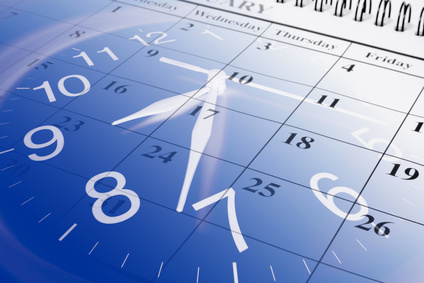 If you are ready to schedule mediation please see the our online scheduling calendar, or feel free to contact us if you have further questions. Are the parents of the couple allowed to attend the mediation? Utah Code says that each person is permitted to bring one person to therapy as a support person. Some have taken this to mean an attorney OR an emotional support person. Others take it to mean an attorney AND an emotional support person. Some mediators, myself included, prefer to negotiate between the parties who attends mediation. There is no need for everyone to sit in the same room during a mediation. In fact, most mediators do not have everyone in the same room, particularly if counsel attends. Therefore I don’t mind at all having one room for Party A and whomever they bring, and one room for Party B and whomever they bring. However, I like to know in advance so that I can make sure that this is okay with both sides. Some attorneys or parties take issue with having multiple people attend mediation but I prefer to allow it if someone wants to bring multiple support people. Here is why. Mediation can take several (or MANY) hours, and there is a lot of emotion, compromise, risk-analysis, and reality-checking. It can be a long and difficult process of deciding what one can tolerate in order to get something they want. It’s complicated and subtle, and emotionally tiring. I do not think it’s helpful to the parties to do that process for 7 hours and then have a party call their new spouse or parent on the phone at the end- before they sign an agreement – and have the new spouse or parent tell them what a terrible deal they are getting. That person wasn’t there to hear all that went into the analysis and they have not idea of all the considerations that went into the mix. Most people, if they are not present, will tell a party how screwed they got. It just sounds more supportive than saying, “Wow, what a highly reasonable resolution. You guys must have worked hard to come up with such a well thought-out even-handed solution.” So after hours of work, one phone call or text leads to a party being unwilling to sign the agreement. Or, they sign it but are told by someone who wasn’t there that they shouldn’t have signed it and, therefore, the party tries to not follow it or undo it. If there is someone who is going to impact the ability to have a signed agreement or who could undermine sincere attempts to follow the agreement- an attorney, a spouse, a girlfriend or boyfriend, a grandparent- I want that person at the mediation table to do the hard work with us. Then it is more likely that the parties will come up with an agreement they are willing to sign and to stick to. Where this can become an issue is when one party is coming by themselves and the other is bringing a team of attorneys and family. This, of course, feels legitimately intimidating and unfair. In this case, we could negotiate having only a few key players participate. But the truth is, for a good mediator, having more people in the room doesn’t make any difference. The process is the same and what needs to happen to come to agreement is the same. If someone undermines the client in the mediation room, they would do the same at home and so let’s involve them and help them see the risk analysis related to their opinions. But mediators differ on this and so do attorneys. Some mediators I know will only allow the one support person and some attorneys insist on it. It’s okay to shop around for mediators. Good luck!